Fashion illustration has been in existence for over 500 years and is an art of communicating and visualizing fashion ideas. It is also popularly known as fashion sketching. It has become an important part of interpreting fashion amongst the designers, the manufacturers, fashion stylists, buyers, and retailers. Although it may be an early stage of designing, it is still a great way of visualizing what the designers want to create. Illustrations have become a mode to convey the details and the design of the fashion creation you have envisioned. An illustration is nothing less than an artistic creation, it provides freedom for the designer to create. In the earlier days of fashion illustration, illustrators used to create designs on natural figures which have now slowly moved towards exaggerated fashion figures. Fashion illustrations have not only become relevant but have also become recognized amongst the designers. You may often notice the different styles, patterns and unique style every designer has to showcase. It's a starting point for designs, to create a new, trendy and a unique style. These days, fashion drawings are used in the decision-making process of the customers too. Buyers look at the fashion drawing for inspiration before placing an order for purchase at boutiques. Fashion illustrations showcase the creativity of the designers, it is indeed a great way to present their ideas on paper. It's nothing less than a creative space! They have always played a crucial role in the evolution of fashion designing. Manufacturers use this to understand the creation in detail. It is imperative that the illustration represents the clothing well enough. Being visually appealing is one of the critical factors of creating unique designs. 4. Rhythm is one of the key elements in fashion illustration. You may often notice this during fashion shows, especially when a designer is trying to repeat a particular pattern or a design theme through the season. 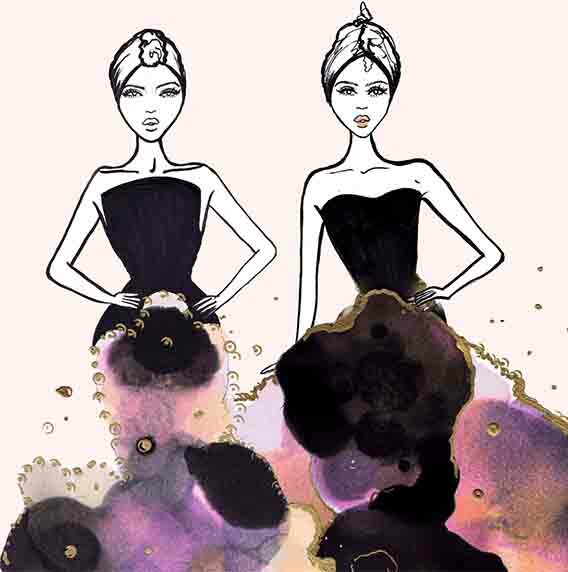 An illustration by artists and fashion illustrators is an organic process and a creative one too.